Of all the things you have to do when setting up your new office, the most fun and the most frustrating is buying office furniture. 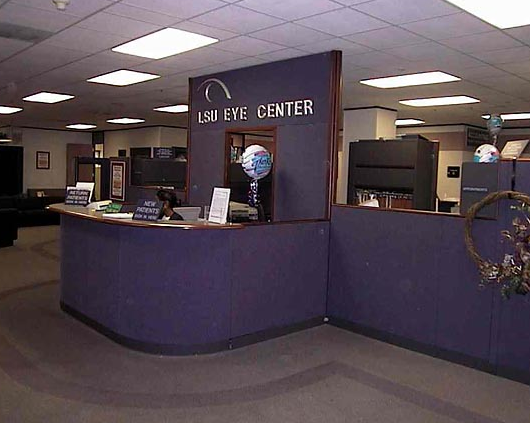 New Orleans clientele will be looking at everything in your office to help them decide if you are the right service or product provider, so first impressions are hugely important! Not having a plan before diving in: Many people buy office furniture based on impulse, but hastily deciding on what office furniture to buy could mean very unsatisfactory results in a year or two. You have to accurately assess your needs; if you need an new office chair, ask the following: Does it have wheels? Adjustable height? Ergonomic back? Padded seat? Get feedback from current employees about what their preferences are as well. Thinking looks tell the whole story: Aesthetics are important, but comfort is number one! Your employees, guests and yourself have to be comfortable. 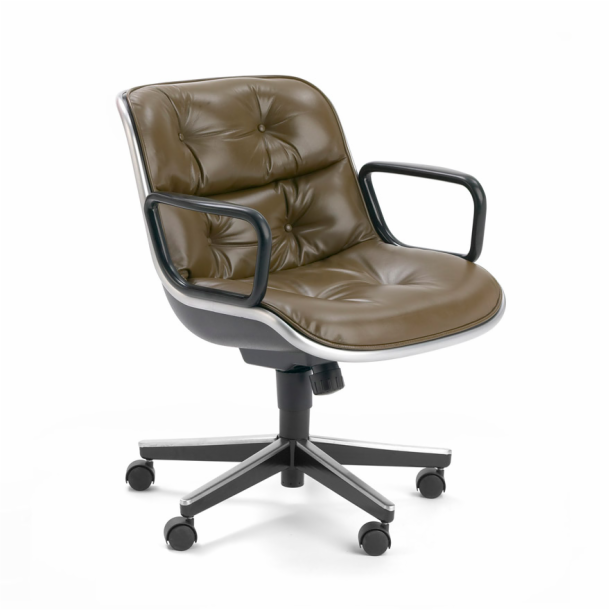 While aesthetics make things beautiful or pleasing in appearance, ergonomics factor in productivity and comfort. Forgetting to test drive: Your New Orleans office furniture should be tried out – take your staff with you and give everything in the store a whirl. Ask about returns or trial periods – if you are buying all of your items form one vendor, they might be willing to take back or exchange anything that doesn’t feel right after two weeks. Not thinking ahead: If you narrow down your choices to two office chairs, one a more expensive quality chair and one a less expensive run of the mill office chair, consider the depreciation and lasting power of each. Isn’t it better to buy a $500 chair (if you can budget it in) and not have to replace it for six years than to buy a $300 dollar chair that will be worn out or broken in less than two years? Don’t forget to factor in the incidental costs such as taxes, delivery fees, freight charges, shipping and handling fees, installation or assembly fees or extra costs for a warranty. Planning ahead can make all of the difference and keep you from committing these four office furniture faux pas. Buying office furniture may not rank as a top priority when you are worried about launching your new business, but it does require some attention. After all, this is your foundation, your cornerstone, your centralized locale for all thing business related – and you may also have staff, clients and vendors who will pass through your space. First, make a list of everything the office needs – for comfort as well as functionality. Don’t forget to consult employees about their preferences. Break room amenities such as a coffee maker, microwave, etc. Think about computer accessories and storage units, as well as the basics of desks, lamps and chairs. Space limitations may dictate the installation of mutli-use pieces. Ergonomic desks and chairs can save you aches, pains and future doctor visits. Don’t be a mean boss – make sure all of your employees have just as good working conditions! You need light fixtures that provide moderately bright, uniform illumination. You may also wish to install lamps with focused or “task” lighting so all work areas and computer monitors are well-lit and glare-free. Check out estate auctions and university liquidation sales as well as any sort of business that is closing or relocating. Consult with others in your industry who have furnished their own offices for vendor recommendations. Research retail and wholesale houses before making a purchase by Googling them and verifying info with the BBB or CoC. Discount outlets, department stores, retail establishments, furniture refinishers and resale shops also may offer good finds, but go for quality and expect to refinish if needed. Online purchases can incur high shipping costs, but some bargains are available, especially from wholesalers with flat rate shipping. Your New Orleans office should reflect the professionalism of your company. 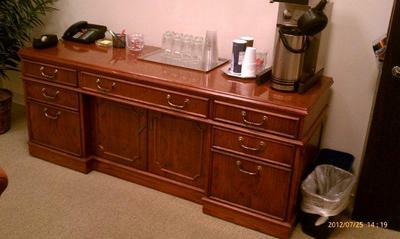 Good office furniture is the right place to start! How do you decide on the best office layout for your company? A lot depends on the type of business you plan to run, the office culture you expect to house, and the individual needs of your employees. In New Orleans offices, furniture may take a back seat to the people, since space is often at a premium. You’ll have to choose between huge lavish desks and having enough room for everyone to work. That said, certain office layout details can help promote productivity and a functional workspace. Try to set up the desks in your office so that all workers have a clear view of a window. In fact, when considering your office layout, make the windows the focal point The natural light and view of the outside world is inspirational. An oblique view is best, however – in the bustle of New Orleans, a direct facing position can lead to distraction! To save space in smaller offices, you can push desks up against each other so that the workers face each other. Use a small privacy panel if needed so each still has their own privacy when seated. This can remove the need to purchase cubicles for your office, You should always allow at least a few feet of space between the desk pairings – and if it will work in your space you should arrange each pairing at different angles so you don’t have the sardines in a can feel that comes from lining up “corridors” of desks. Make an effort to create a grouped or departmental layout, if you have many employees; for example, keep the sales team in one area, the creative design and tech people in another, and reserve a corner for your own executive desk and secretary. Equipment such as copy machines, fax machines, printers and other production tools can be located along a wall if the office is small – eliminating cordage running across the floor – or for larger offices you can put them in a central location (this is great for new offices when you can request an outlet in the floor for multiple power jacks). Keep them out of the walkway, and away from windows and vents. Laying out your office is important- you and your team will be spending a lot of time there, and getting this right is one of the first things you can do to make your small business a success! Are you remodeling, restructuring or building new offices? Is so, you could probably use some expert advice about office space planning. At The Office Planning Group, we have a team of New Orleans design professionals who are ready and able to assist you with a FREE planning consultation. e don’t offer template solutions, or “one size fits all” plans – when we evaluate your space, we do so with an eye to functionality, comfort and professionalism, not just to create something based on current trends that have no basis in the realities of working in an office! 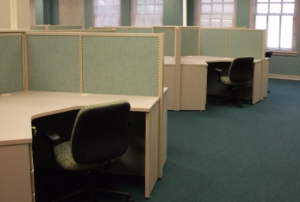 Office space planning in New Orleans and surrounding areas is what we do, so you won’t have to stress about it. Contact us for a free, no-obligation consult today.